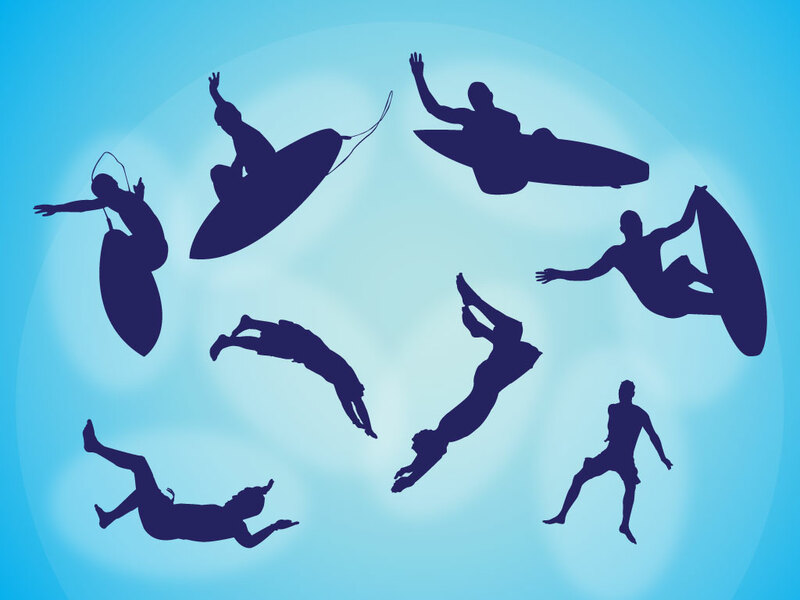 This silhouette pack has eight different surfers and swimmers for your beach and water sports designs. Exciting and dynamic poses will add great character to your designs. Download for your silhouette collection as AI and PDF. Tags: Beach, Silhouette, Sport, Surf, Surf Board, Water, Wave.